Joining with Mgr. Dermot Moloney, Vicar General; the priests of the parish, Very Rev. Pat Farragher, the Administrator; Fr. Seán Flynn and Fr.  Francis Mitchell, Director of Vocations, Diocesan Secretary and Master of Ceremonies, I extend a very warm welcome to you all as we come to celebrate this special day in the life of the Archdiocese of Tuam. I welcome Gerard himself, his family, neighbours, former teachers, the priests of the Archdiocese of Tuam, the President, staff and students of St. Patrick’s College, Maynooth. Welcome to the Religious and baptised faithful from the Cathedral Parish and throughout the Archdiocese and to all who join us courtesy of parish radio and the web. Our faith reminds us that there will be great rejoicing in heaven today as we remember and pray for Gerard’s parents, Gerry and Anne, his sister, Teresa, and his grandmother, Nora. As we celebrate the Feast of Corpus Christi, the Body and Blood of Christ, we realise that this is a very appropriate day on which to celebrate the ordination of a priest. The Gospel of Mark reminds us that the call of the twelve stands out as a fundamental initiative, a direct choice on the part of Jesus: “He went up into the hills, and called to him those whom he desired; and they came to him”. It immediately sets up a relationship. Mark’s text is very instructive: “He appointed twelve to be with him and to be sent out to preach”. Their missionary activity is founded on and derives meaning from their relationship with Jesus. On this Feast of Corpus Christi we are reminded that central to Gerard’s priesthood will be sharing with Jesus and others the Eucharistic bread each day at the altar. Gerard, you will bring the hurt and the wounded, the farmer and the factory worker, the saint and the sinner with you to the alter. You will remember them and ask the Lord to remember them. It is Jesus who will give meaning and purpose to your work, to your preaching and teaching. You will share the joys and the sorrows of the people whom you serve. You will lift them beyond the grief of the present and focus them through the Eucharist on the life that Jesus won for all of us over death. You will endeavour to unite liturgy and life so that what is celebrated at the altar will influence and impact upon what happens in the market place, in the home and in the world of recreation. Belief and unbelief will be realities which you will inevitably have to address in your priesthood, Gerard. At times you may feel disappointed that your preaching of the Gospel has not borne the results you had hoped. Your responsibility, however, will be to preach the Gospel and leave it to the Lord to bring about the fruits. As you reflect on the Parable of the Sewer, you will be reminded that it is the Lord who will grant a fruitful harvest. However, in your prayer, you will ask the Holy Spirit to provide receptive soil in the hearts of those who hear the Gospel. Today, Gerard Quirke, one of your own will be anointed with the spirit of God. Only two weeks ago we celebrated the Feast of Pentecost. The Holy Spirit will always be associated with the commission of Christ to the Church to continue his mission in the world. The Holy Spirit empowers the apostles to give authoritative leadership in the Church and is central to what is taking place in the ordination of Gerard today as he is anointed with the spirit of God. You have witnessed Gerard grow, develop and mature over the years in your family and neighbourhood. His teachers have witnessed his progress from primary to post-primary and then to third-level and the seminary in Maynooth. 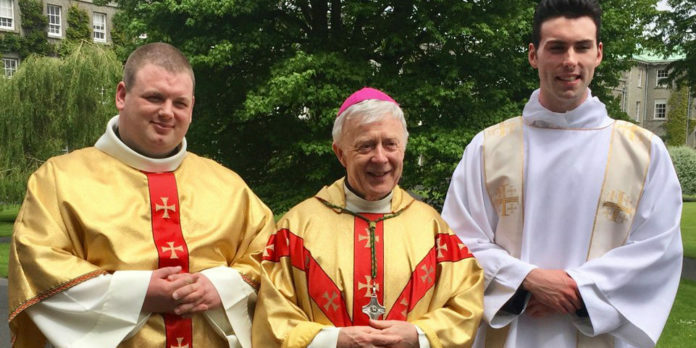 During these years of preparation he has served an apprenticeship in Athenry with Canon Brendan Kilcoyne as he drew closer to Jesus Christ in prayer, studied the scriptures and familiarised himself with the teaching of Jesus Christ and his Church. Today, Gerard is entrusted with the responsibility to go out and preach Christ’s gospel, to make disciples, to baptise and to teach. In many ways the responsibility entrusted to him is counter-cultural. Our society today places such an emphasis on self-fulfilment, on autonomy, on doing one’s own thing. In your ministry, however, your agenda will be dominated by Jesus Christ. Patience and perseverance will characterise your approach. You will baptise and remind people of the responsibilities that go with their privilege of being sons and daughters of God, brothers and sisters of Jesus Christ. Teaching will be a central part of your ministry as you lead them to the truth of Jesus Christ. This will be a big challenge today in what has often been described as a post-truth culture. Whenever you feel overwhelmed by the challenge you will reflect on and take consolation from the promise of Jesus Christ that he will be with us to the end of time. Today, we warmly welcome Gerard into the brotherhood of the priests of the Archdiocese of Tuam. We are delighted to have him and thank God for him and look forward to working with him. Christ told his disciples that he would make them fishers of souls. Gerard will have responsibility for making disciples for Jesus Christ. He will use his interests, his natural ability, his training and his personality in order to draw people to Jesus Christ and point them in the direction of the Lord. Despite the way that people may sometimes dismiss priesthood, nevertheless, it is a great time to be a priest. As a priest, Gerard will enjoy encouraging the people to be their best selves, to utilise the gifts they have received from the Lord and to improve the quality of life for all those with whom they come into contact, and in this way to build up the kingdom of God. Of course there will be times of difficulty and frustration, times when you may wonder was it all worth it, and yet you will be reminded of the fact that when the risen Lord appeared to the disciples to share His spirit with His frightened followers, the Lord was identified by the very wounds that He had suffered on Calvary. This will be a reminder in the years to come for Gerard that he too will carry the wounds of his ministry, of times when he has been misunderstood, when he has been misrepresented. Nevertheless, he will continue to preach the good news of Jesus Christ in season and out of season. As priests, the ordination of a brother priest provides us all with an opportunity and a challenge to renew and re-dedicate ourselves to the High Priest, Jesus Christ in whose priesthood we share. The epistle to the Hebrews which focuses in a very special way on Christ’s priesthood underlines the fact that as Priest, Christ was trustworthy and compassionate: trustworthy in relation to all matters relating to God and compassionate in all matters relating to the people of God. May the ordination of Gerard be an opportunity for all of us to reflect on and renew our dedication. As we do so we recognise that we will always be dependent not just on the Lord but on the people that we are privileged to serve. I join with the whole congregation in entrusting your priestly ministry to the care and protection of Our Lady.